First, you need to install CFW or HEN in your PSP. 1. copy UPDATE folder at ms0:/PSP/GAME/. 2. 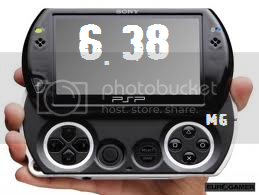 Put 6.38 official update at ms0:/PSP/GAME/UPDATE/638.PBP . 3. Run installer from xmb. Hold R trigger and turn on the psp, you can enter recovery menu. Hold Home button and turn on the psp, you can Boot OFW. This CFW is based Dark_AleX's 5.00M33. And usbdev.prx is his own.